"My green thumb came only as a result of the mistakes I made while learning to see things from the plant's point of view." 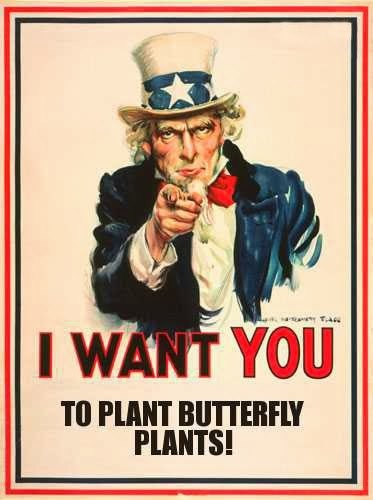 Here at the Container Butterfly Garden compound, the busy little propagation elves are hard at work again, well, propagating. With recent purchases and seed swaps of several new species, various aspects of preparation and germination are revving up. Some need cold stratification, while others can be placed in a planting medium immediately. This is the little mini greenhouse setup I have running in my bedroom which includes a grow light stand, greenhouse high dome, tray, and a heat mat beneath the towel. The towel is for catching any condensate that escapes from between the dome and tray. It sits nestled in front of a bay window where I can open the louvers to let in the morning light. 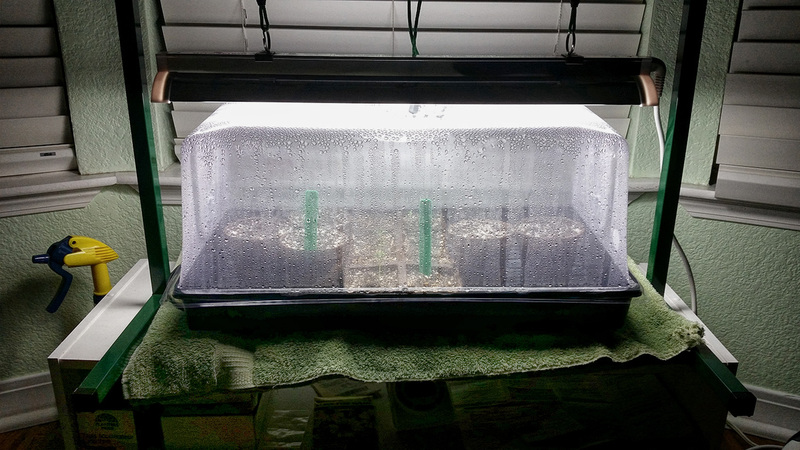 Instead of using the plastic cell inserts, I switched to Jiffy peat trays and peat pots. Both come in several sizes. Much easier to use; doesn't cause plant stress from trying to push little seedlings out of the plastic trays. 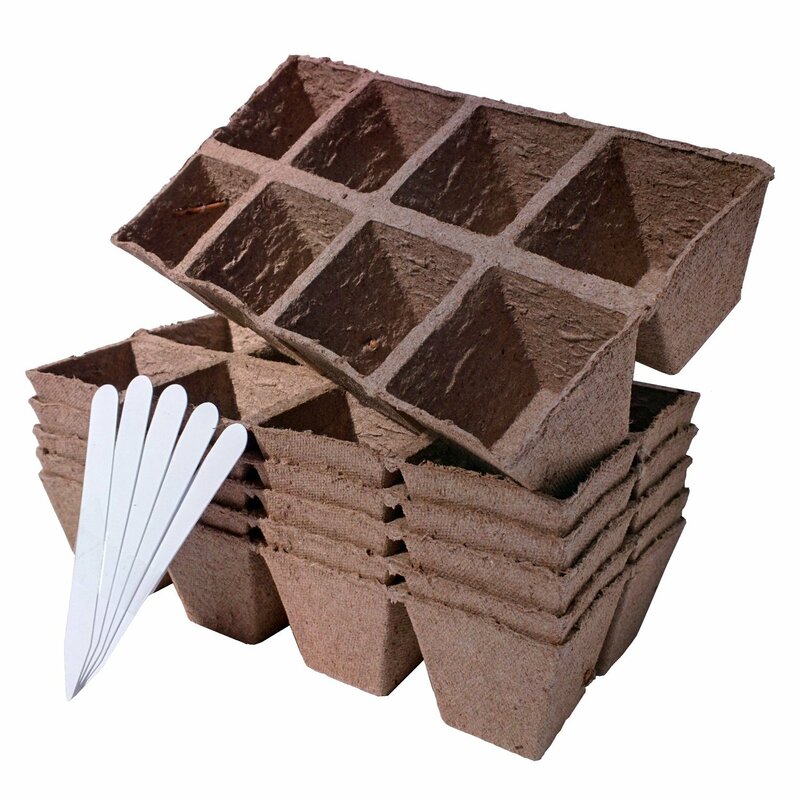 With the peat trays, all one needs to do is cut the individual cells apart and plant it cell and all when ready. 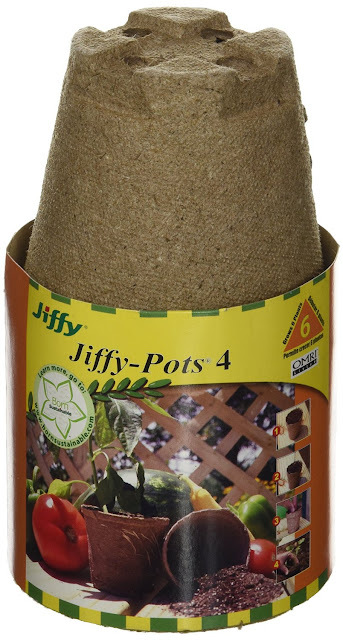 Ditto on the pots: plant the whole thing in the ground or larger container. The Jiffy brand of seed starting medium was to put it mildly, terrible. Black Gold Seedling Mix I purchased from Green Thumb Nursery is da bomb. Love the stuff. The saying applies here too: "You get what you pay for!". Peat starting strips and pots are fairly ubiquitous, as are trays, and covers. They can be found at big box do-it-yourself home improvement centers, Walmart, larger nurseries, and online such as Amazon. The only place I find high domes locally are at the neighborhood Green Thumb Nursery nearby. Generally, for seed germination and small cuttings, the busy little elves here use peat strips. For fast growing plants and larger cuttings, the elves use peat pots. Come spring, I'll be making making cuttings of various plants 'cuz I'm a tightwad and squeak when I walk and don't wish to spend more money on plants than I have to if there's the know-how and the resources to do so otherwise.